Our Ruby TV mirror is a "classed up" version of the Amethyst style. 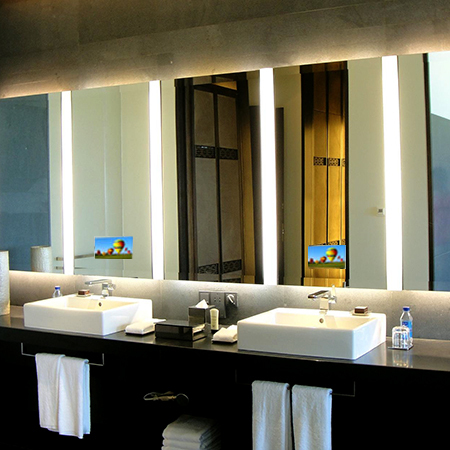 The Ruby TV lighted mirror is perfect for multiple sink areas or larger mirrors. The multiple verticle ports of warm lighting in this mirror is sure to uniquely define any space.